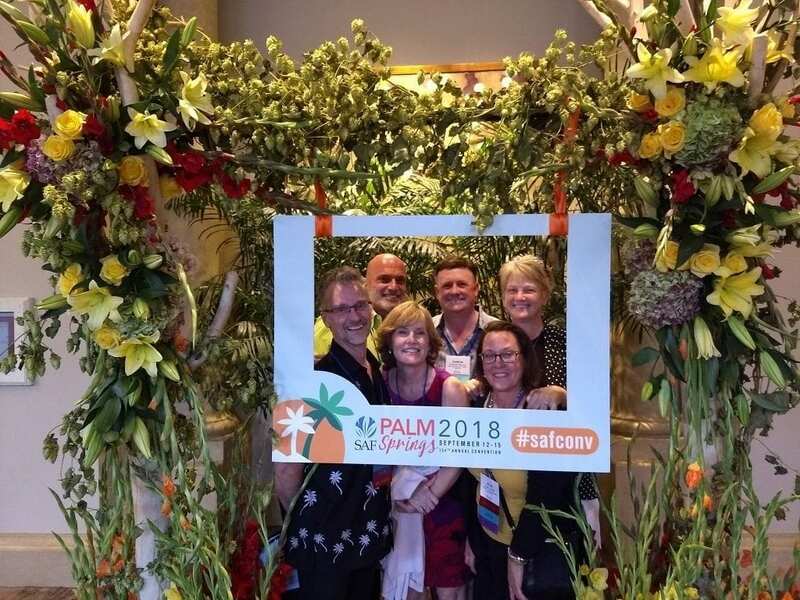 Jenny Behlings, AAF, AIFD, PFCI, SDCF, (upper right) was one of more than 450 floral industry members who participated in SAF Palm Springs 2018 in September, and then returned home with actionable ideas. Pictured with Behlings from left: J. Robbin Yelverton, AAF, AIFD, PFCI, of Blumz by…JRDesigns in metro Detroit, Michigan; Marlin Hargrove, AAF, AIFD, PFCI, of the Pete Garcia Company in Atlanta, Georgia; Theresa Colucci, AAF, AIFD, PFCI, of Meadowscent in Gardiner, New York; D Damon Samuel, AAF, AIFD, PFCI, NAFD, NMF, of the Bill Doran Co. in Omaha, Nebraska; and Julie Poeltler, AIFD, CAFA, PFCI, of Fountain of Flowers & Gifts in Lone Tree, Iowa. 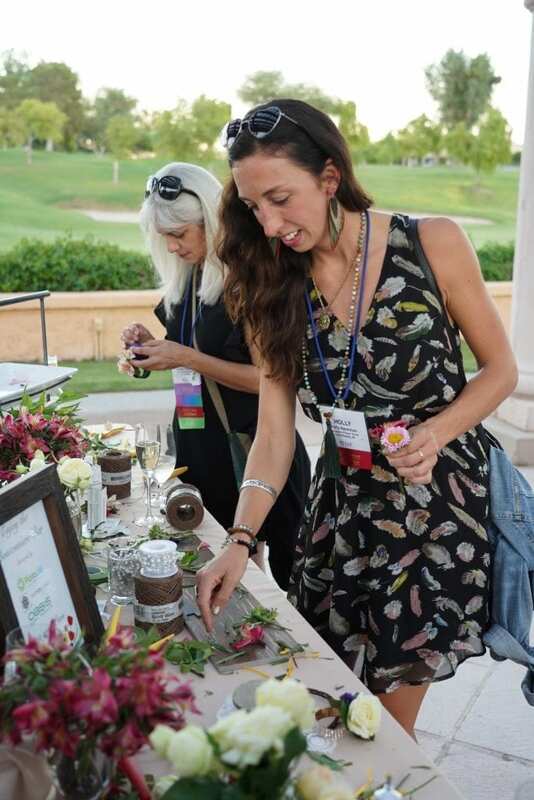 As Jenny Behlings, AAF, AIFD, PFCI, SDCF, listened to the Kick-Off address at SAF Palm Springs 2018, one phrase piqued her interest: “workplace culture.” Like many floral industry members, Behlings wanted to find new ways to attract young talent. The morning’s presentation by HR expert Jamie Notter created a lightbulb moment for the retailer, along with clear takeaways. Behlings is far from alone. 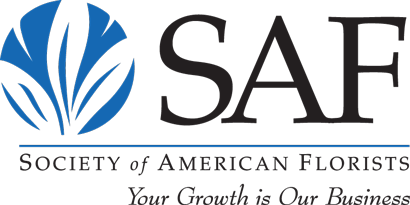 Practical tips and guidance on how to tackle some of the biggest challenges facing retail florists and the floral industry at large were plentiful at SAF Palm Springs 2018, the Society of American Florists’ 134th annual convention, held September 12-15 in Rancho Mirage, California. The convention featured more than 50 educational sessions and programs and attracted 450-plus industry members, including 107 first-time attendees. Participants hailed from 45 states, six countries, and from every segment of the industry. One thing they all had in common: a willingness to share and learn — and a desire to put new advice into practice back home fast. 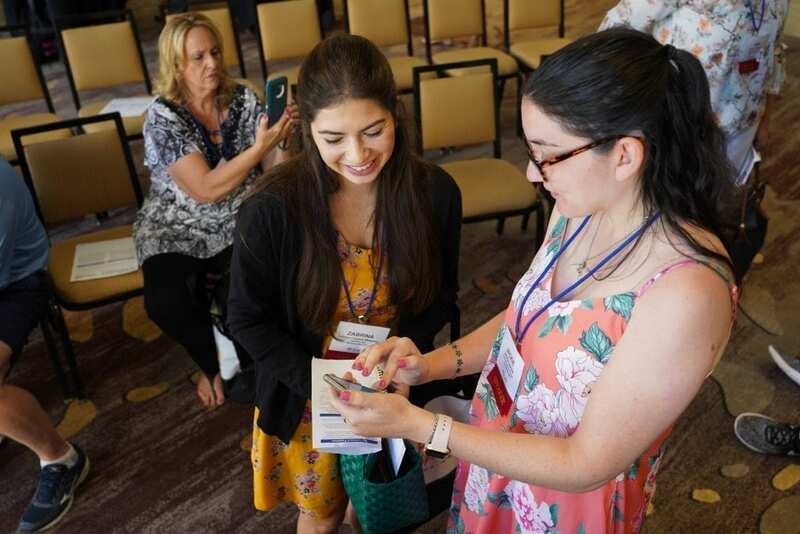 Zabrina Campos-Melendez of CamFlor Inc. in Watsonville, California, talks with presenter Jackie Levine of Central Square Florist in Cambridge, Massachusetts, about social media best practices during one of the Experience Zones at SAF Palm Springs 2018. 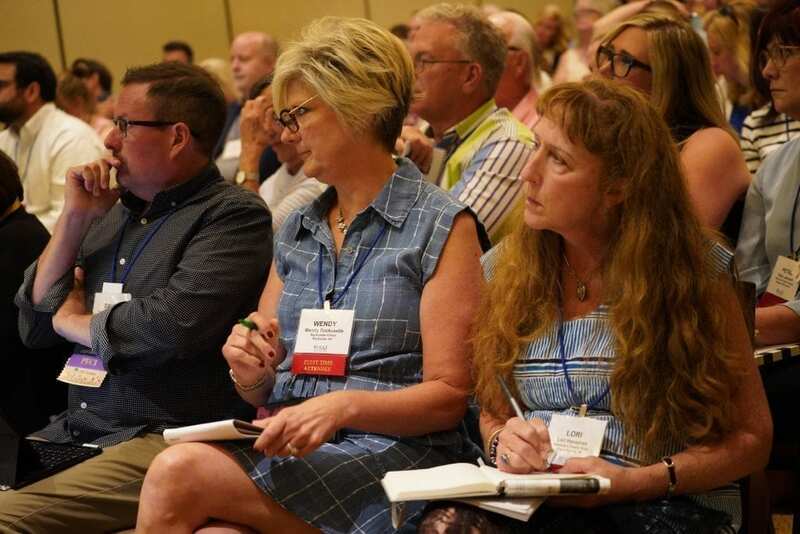 For Lynne Tischler, CPFD, PFCI, AAF, of Your Enchanted Florist in Saint Paul, Minnesota, educational sessions during SAF Palm Springs 2018 provided an opportunity to reflect on her processes and procedures and find practical ways to improve. She had her own lightbulb moment during “HR Hacks that Win Loyalty,” a session led by Glenna Hecht, founder of of Humanistic Consulting and a regular contributor to Floral Management magazine. During the many informal networking opportunities throughout SAF Palm Springs 2018, Tischler also had the chance to talk to participants with very different businesses — conversations that underlined for her how similar many of the challenges are for industry members, regardless of segment, location or size. “I only have two full-time employees and three part-time, but I found out that much bigger shops are struggling with the same challenges,” including finding and keeping the best employees, she explained. As someone who works in sales, first-time attendee Farai Madziva of Kitayama Brothers, a grower in Watsonville, California, talks with floral industry members throughout the supply chain every day; yet SAF Palm Springs 2018 provided him with the chance to see some big picture trends and gain new perspective on issues his customers must work through in their daily lives. Industry members check out new product and the designs of presenter Derek Woodruff, AIFD, PFCI, CF, during the Outstanding Varieties Experience Zone. Among the standout sessions for Madziva: “Down and Dirty: Nitty Gritty Hacks to Extend Vaselife,” with Steve Daum of Floralife and Jim Kaplan of Chrysal USA and “The Amazing Race to Get Flowers to Your Shop,” a panel presentation on transportation logistics with insight from five industry members representing grower, supplier, wholesaler and transportation companies. Kathy Jones, AIFD, PFCI, SDCF, of Spring Creek Designs in Gillette, Wyoming, enjoyed getting to know growers from California and Alaska at the Field to Vase Dinner — a first event of its kind at an SAF convention and the largest Certified American Grown dinner to take place in the series’ three-year history. The jaw-dropping floral designs and gourmet food served family-style, may have been picture-perfect and Instagram-ready, but Jones said the memorable meal also gave her actionable information to take home to her business. 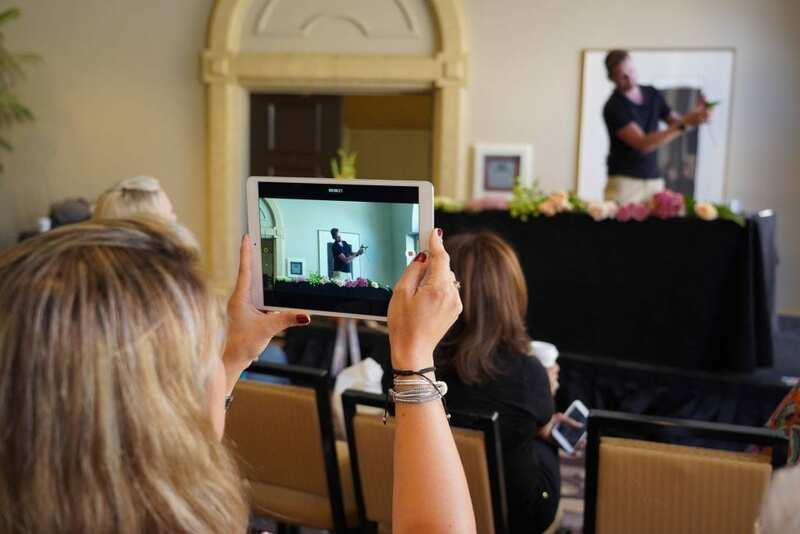 A packed crowd — including Wendy Rockcastle of Rockcastle Florist in Rochester, New York, and Lori Haveman of Kennedy’s Flower shop in Grand Rapids, Michigan — hear about trends and technology coming toward the industry during The Future of the Retail Florist” educational session. Tricia Smith of Twinbrook Floral Design in Chantilly, Virginia, has been an SAF member for 25 years but SAF Palm Springs 2018 represented her first time at convention. 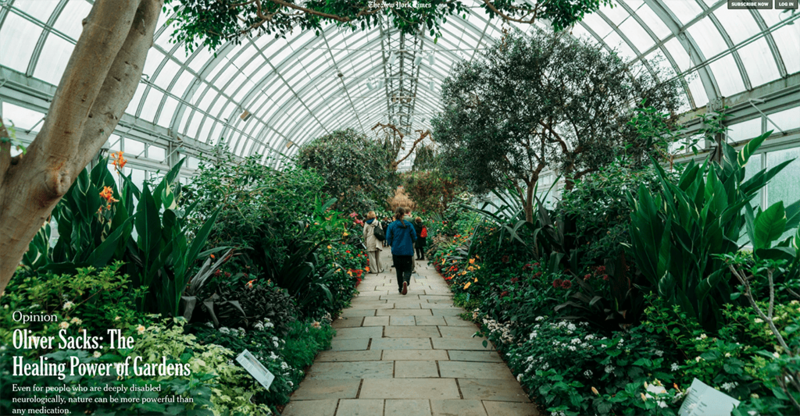 A session she found especially enlightening: “The Future of the Retail Florist,” with Renato Sogueco, AAF, PFCI, BloomNet’s vice president of digital strategy and education, and a group of expert panelists. The session looked at emerging trends to help businesses plan for what’s next, especially in the tech arena. Smith said she appreciated that forward-thinking look. 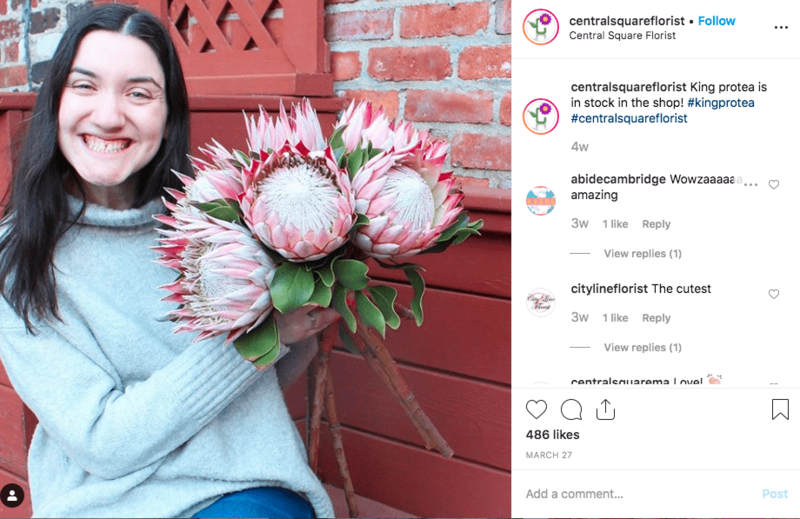 Likewise, Elizabeth Seiji, AIFD, said she hires outside people to take care of social media at Edelweiss Flower Boutique in Santa Monica, California — but she knows she needs to direct and monitor them. To do that effectively, she needs to be on top of the latest tools and trends. 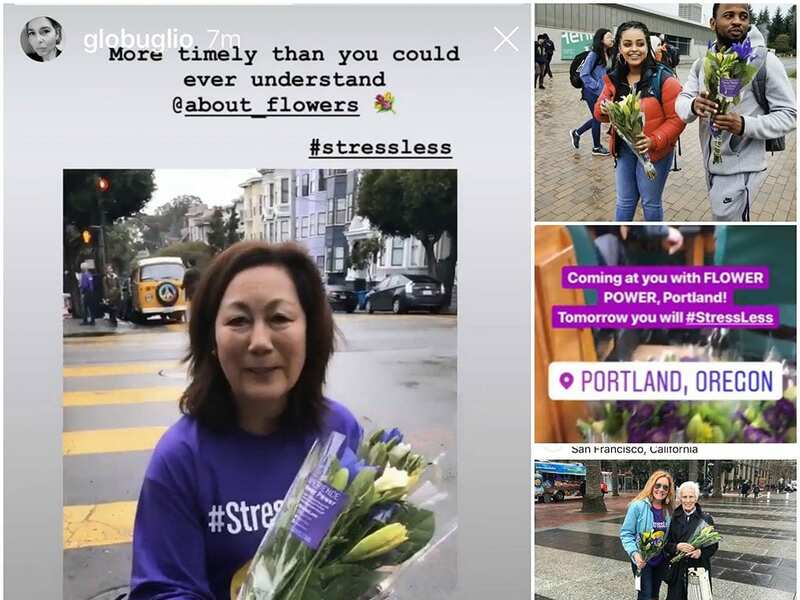 Seiji also plans to leverage what she learned about “The Impact of Flowers on Perceived Stress Among Women, ”a new study that shows flowers can relieve stress. 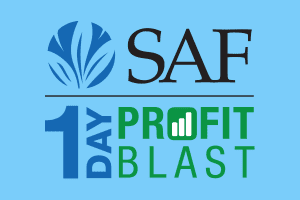 The study results were revealed at the convention’s annual Marketing Breakfast along with SAF’s dynamic new consumer marketing program, designed to leverage the findings. “I will definitely use that information,” she said. Seiji has made use of similar studies in the past to create social media posts and engage more effectively with customers. Pointers on how to take effective photographs were at the heart of “Sales Jolt! Photos that Sell,” with speaker Reece Farinas of Beretania Florist in Honolulu, Hawaii. Farinas gave advice on low-cost equipment and how to incorporate taking photos into your shop’s behind-the-scenes routine. That message resonated with Brian Kusuda of Jimmy’s Flower Shop in Ogden, Utah. Two sessions that impressed Tim Farrell, AAF, AIFD, PFCI, of Farrell’s Florist in Drexel Hill, Pennsylvania were “Between the Petals: What Research Tells Us About Floral Consumers,” with Charlie Hall, Ph.D., of Texas A&M University, and “Rock the Holiday – Your Holiday Playbook!” With Vonda LaFever, AIFD, PFCI, of TeamFloral. Look for more coverage of SAF Palm Springs 2018 — including an extensive wrap-up of this year’s Outstanding Varieties Competition — in the Nov/Dec issue of Floral Management. 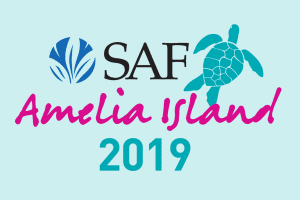 Plus, you’ll find convention stories about our 2018 award winners and Sylvica Cup Design Competition in the Sept. 12, 19 and 26 issues of SAF’s Wednesday EBrief. 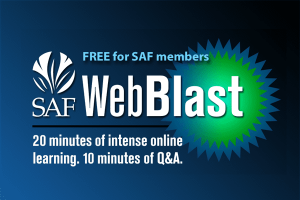 Looking to follow up on all that you learned at SAF Palm Springs 2018? 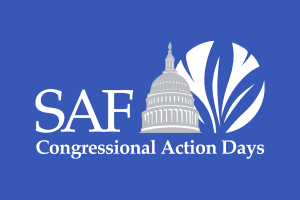 SAF has handouts posted for all educational sessions and a list of convention attendees posted at safnow.org. Check out additional photos from SAF Palm Springs 2018 at SAF’s Flickr stream.